Our donors are the reason our music education programs are flourishing! Your contribution supports access to the highest level of music education and performance opportunities for SLO County children. One goal of the CCYC is to enrich the culture and lives of the community by supporting and encouraging young singers to excel in musical performance. Our program sets exceptional standards in vocal performance. We are a 501(c)(3) non profit organization, whose mission thrives on the passion and tenacity of our music directors, current students, alumni, and collaboration with local performance groups. Contributions are vital to the means and longevity of the choir. As much as we enjoy our rehearsals and concerts, they cover only 40% of our annual budget. Each year CCYC must raise money to fill the gap between total annual expenses and the revenue received from tuition, ticket sales, and performance fees. Striving to make tuition affordable for our singers, CCYC engages in an array of fundraising activities. We thank each and every donor whose gifts help CCYC provide life-changing music education to children of diverse backgrounds. 2 tickets to our spring or holiday concert and special recognition in the program. Above benefits PLUS a CD of selected concert and name/logo printed in the concert program. Above benefit plus two additional tickets for selected concert, name/logo included on the concert poster, and business size ad included in the concert program. Four premium seats at our Benefit Event, special recognition at event, a ⅓ size ad plus printed name/logo in the spring concert program and flyers. Four premium seats at all concerts/events, a ½ page ad in each program, special recognition at each concert/event, CDs of each concert, name/logo printed in concert programs and flyers. 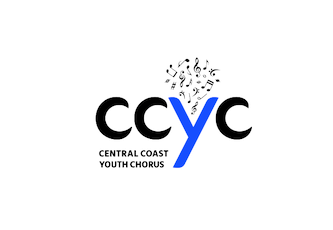 To learn more about making a donation to the Central Coast Youth Chorus, please contact us at info@CentralCoastYouthChorus.org or 805-464-0443. ​CCYC now makes it possible for you to donate stock in lieu of cash. People with investments in stocks, bonds and other securities they've held for at least one year can donate those that have appreciated in value. This will result in significant income-tax savings. In fact, donating stock saves even more taxes than donating cash since there is no capital gains tax when appreciated securities are given to a nonprofit. For more information, contact our Finance Manager at finance.cccc@gmail.com. You can also become a sponsor and/or advertiser of our Winter and Spring concerts. Please click the below document to find out more.